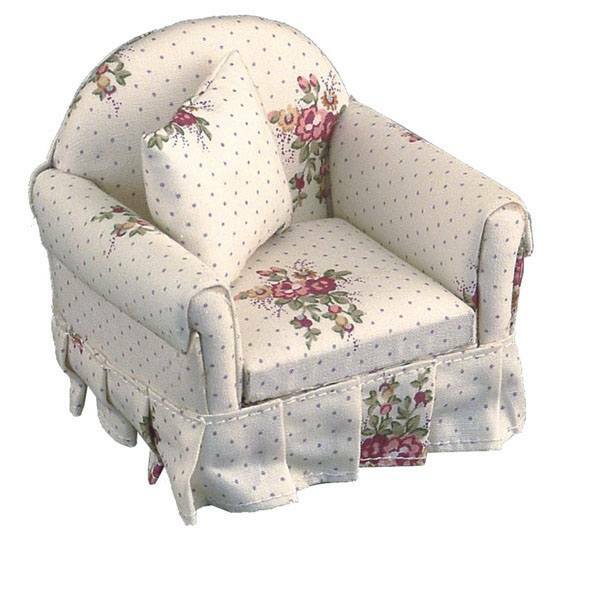 Armchair with flowers. 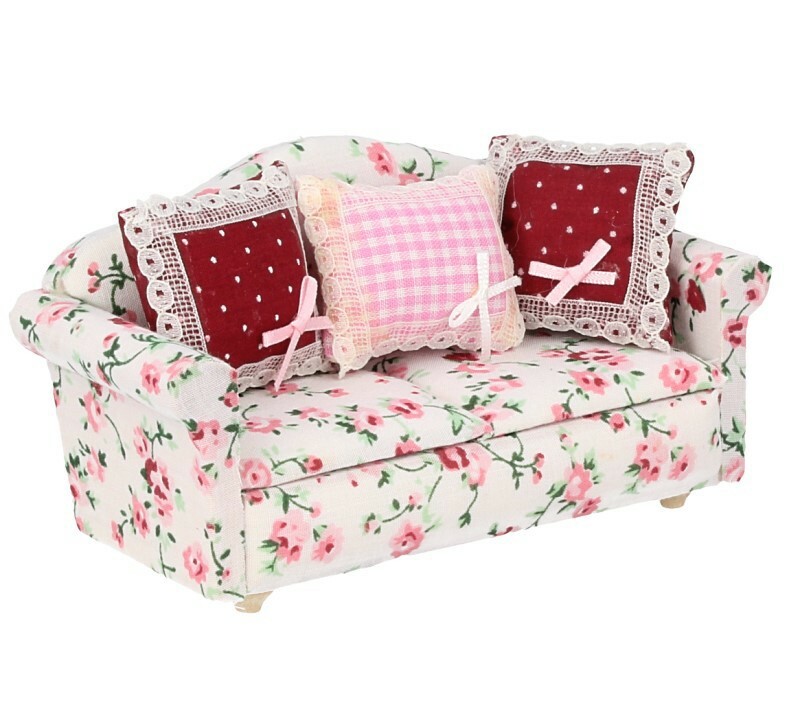 It contains two cushions (pink and red). 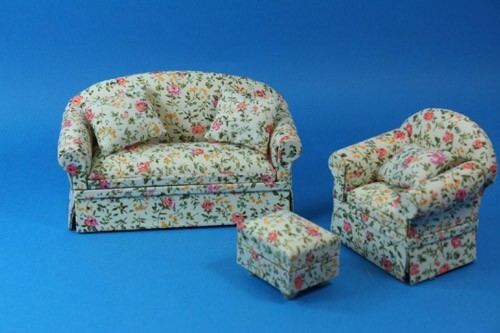 Sofa with floral fabric. 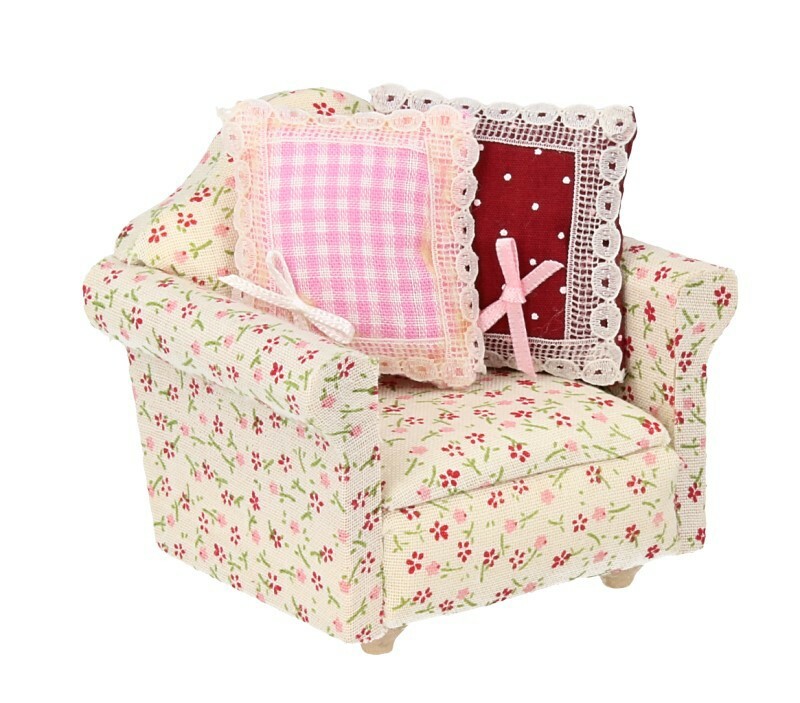 Includes two red cushions with white polka dots and another cushion of pink and white squares. 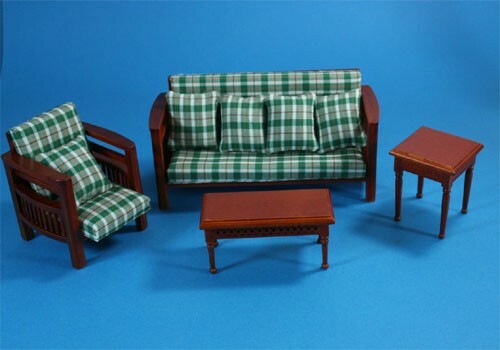 Mini living room. 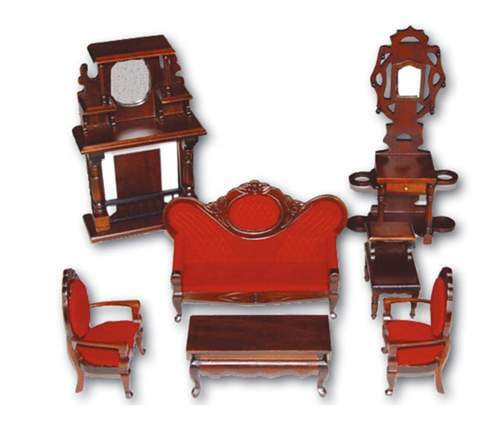 Set composed by two chairs, one centre table and a sofa. 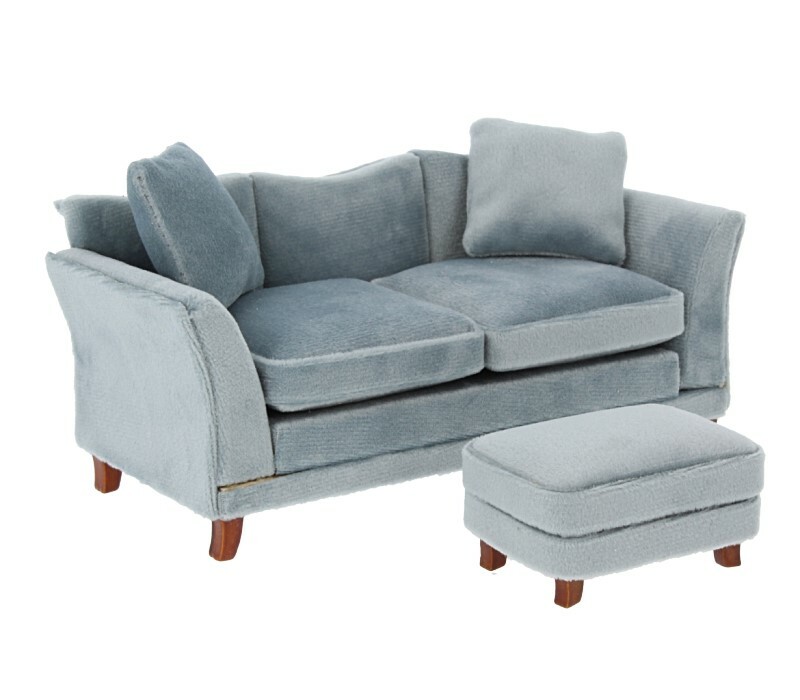 Set of sofas composed by a sofa and two armchairs. 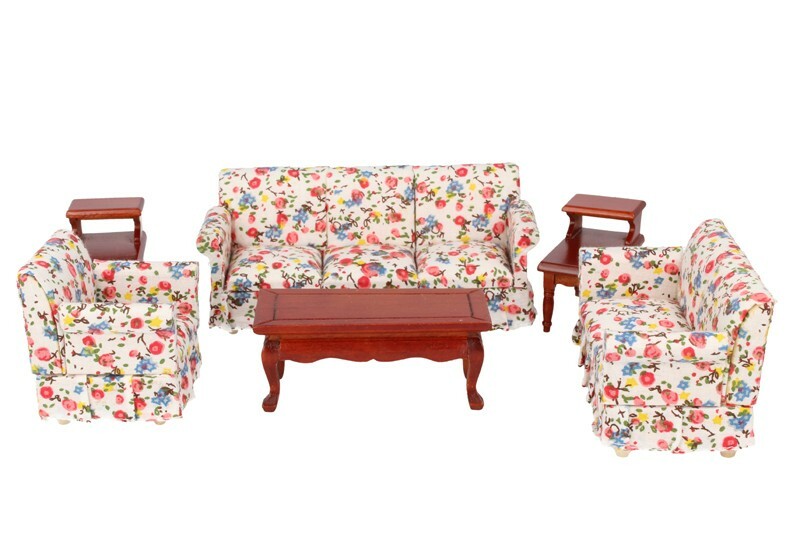 Paintings and cushions included. 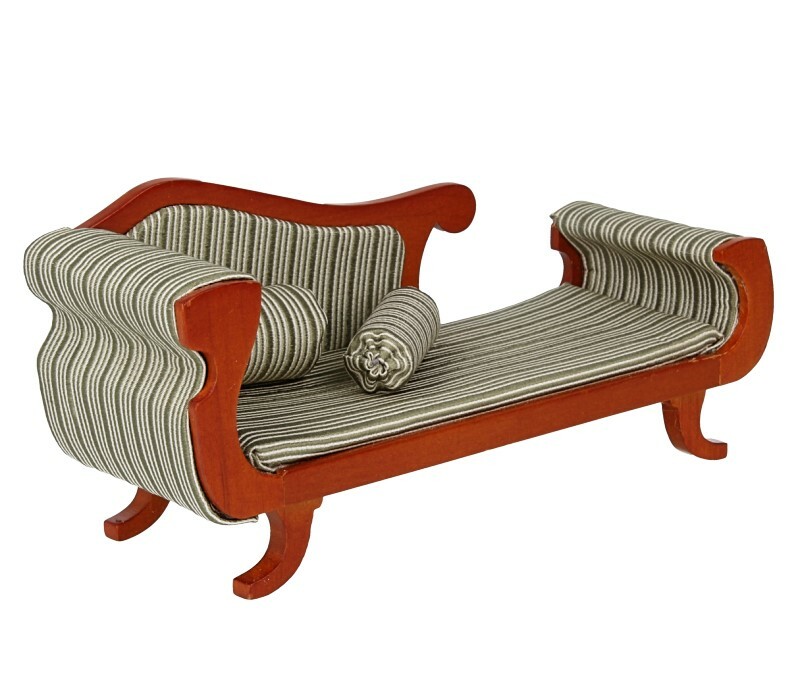 Sofa: 12 cm long x 5.20 deep x 6.60 high. 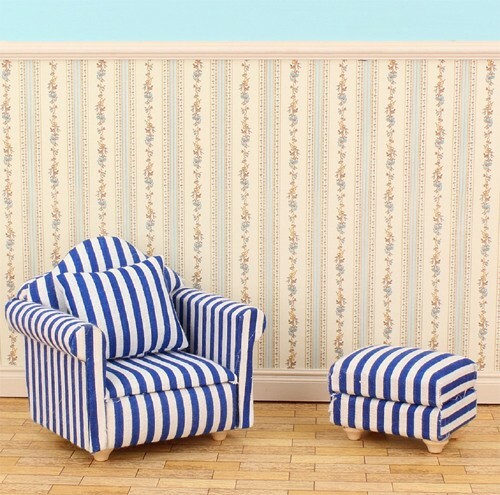 Armchair: 6.80 cm long x 5.30 deep x 6.60 high. 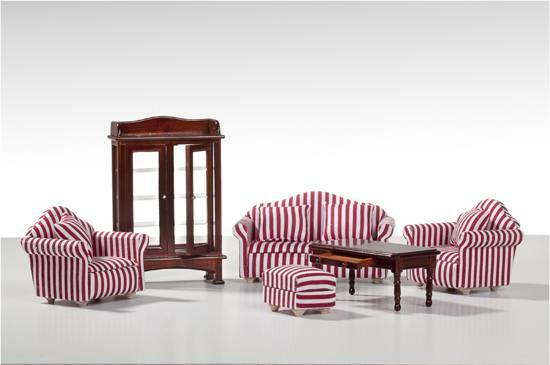 Set of sofas composed by: three sofas, one puff, a centre table and a glass cabinet. 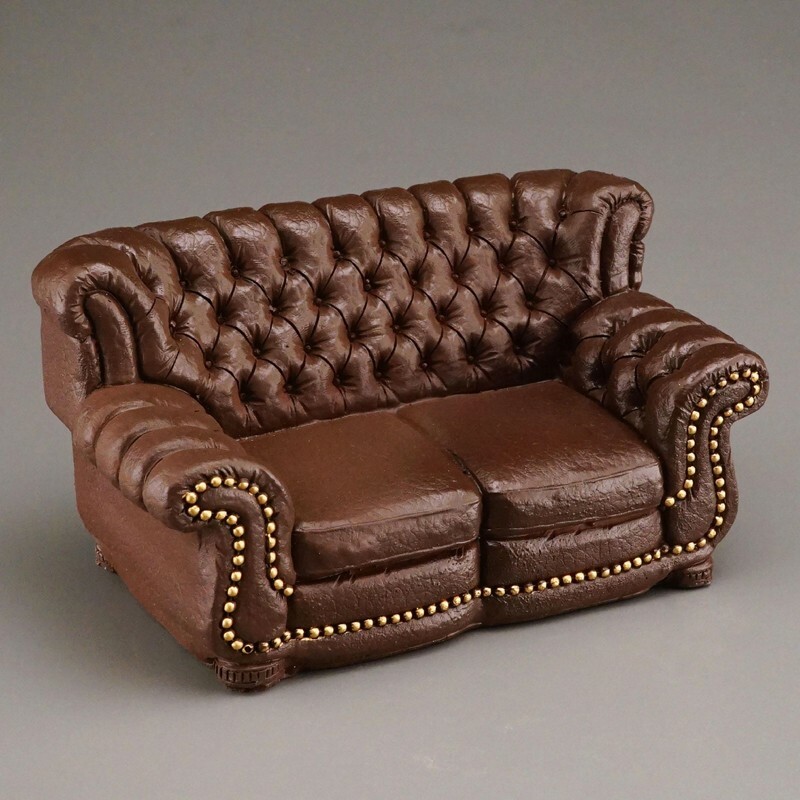 Mini living room. 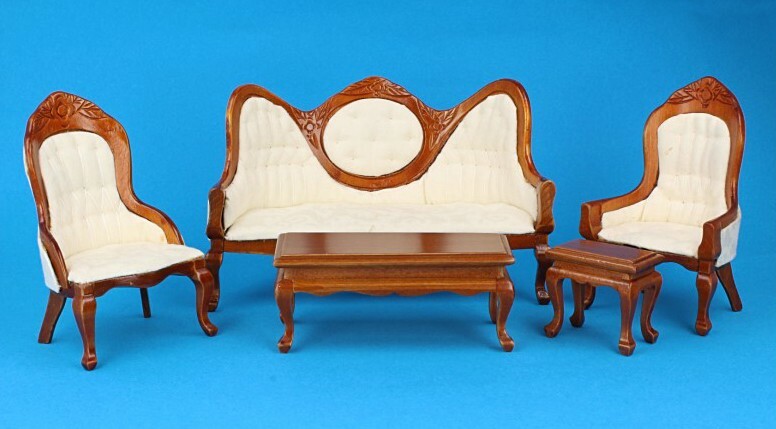 Set composed by two chairs, two table and a sofa. 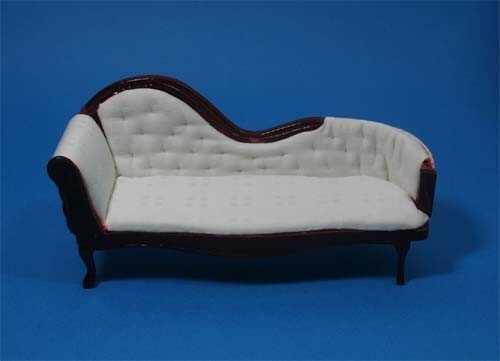 Sofa: 13 cm long x 5 deep x 7.70 high. 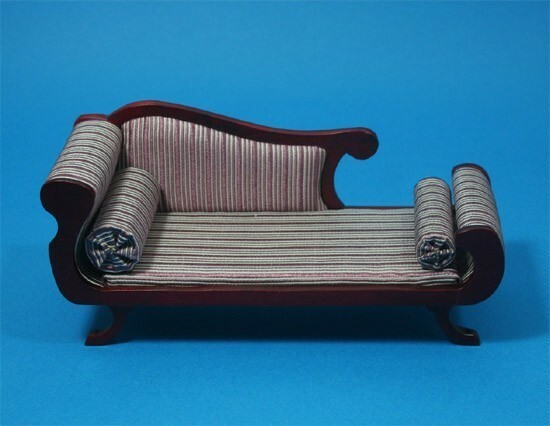 Armchair: 6.60 cm long x 5 deep x 7.70 high. 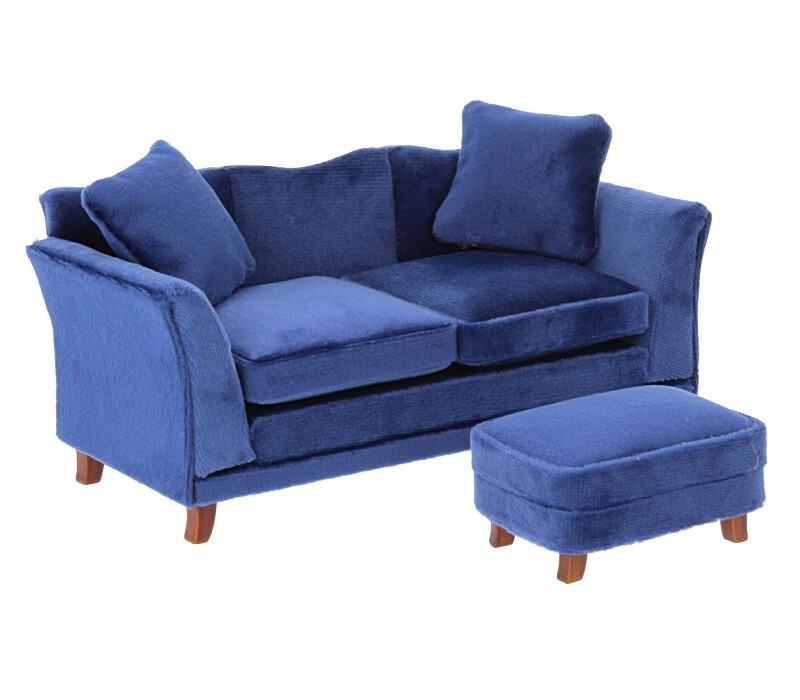 Pouf: 4.50 cm long x 3.50 deep x 2.50 high. 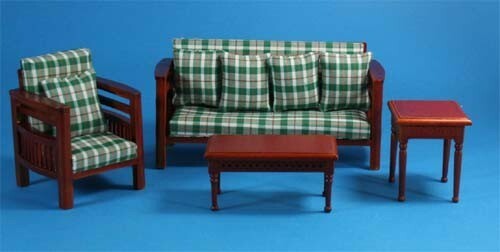 Couch with tables. 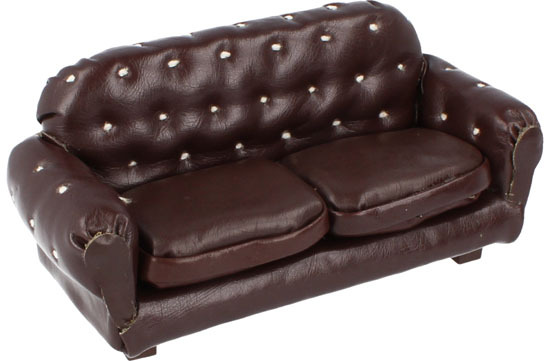 Contains 4 pieces. 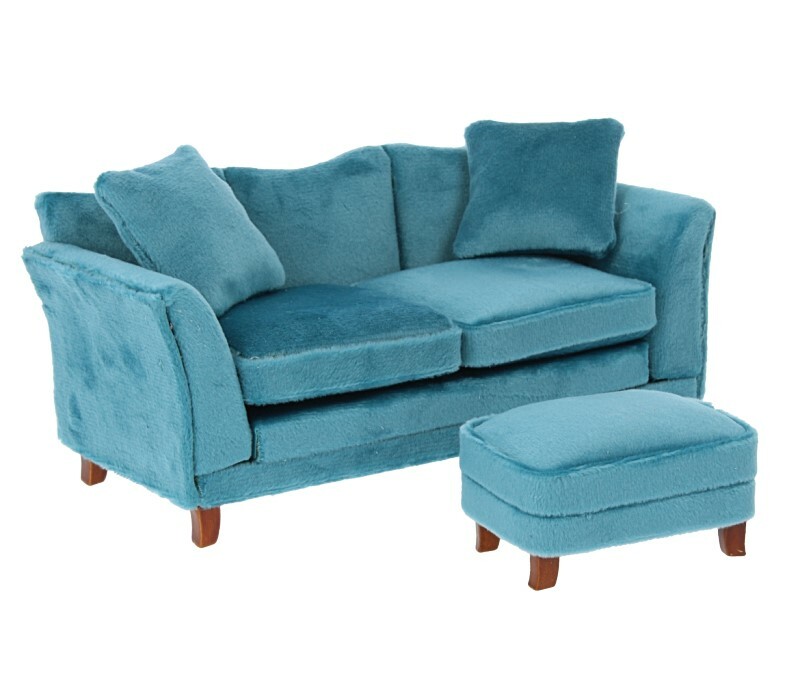 Cushions included. 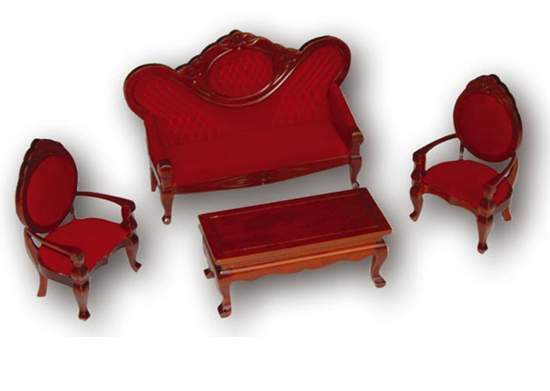 Sofa with tables. It contains 4 pieces. 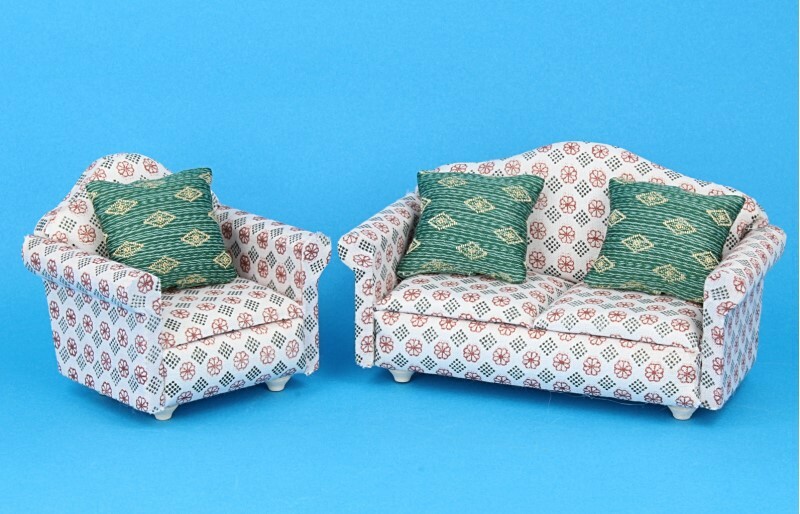 Cushions included.